Perfect for on your kart, visor, tool box, trailer, computer, or anywhere else! 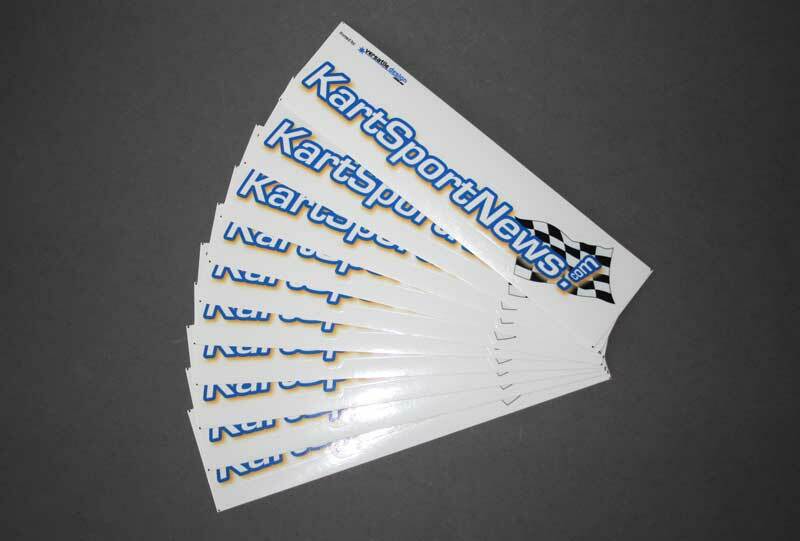 The stickers are contour cut and have a clear gloss laminate to protect the inks from petrol and cleaners. They measure approx 200mm x 50mm. You can buy them in a pack of 10 for $7, or 20 for $12. Postage is FREE within Australia. Get yours now! The stickers are already contour-cut: simply peel off the backing and surround, and stick! To make a secure payment using your credit card, select the number of stickers you want from the drop-down, then click “Buy Now” and follow the prompts (this will also let you pay via PayPal if you have a PayPal account). Stickers will be posted within 5 business days of payment clearance.